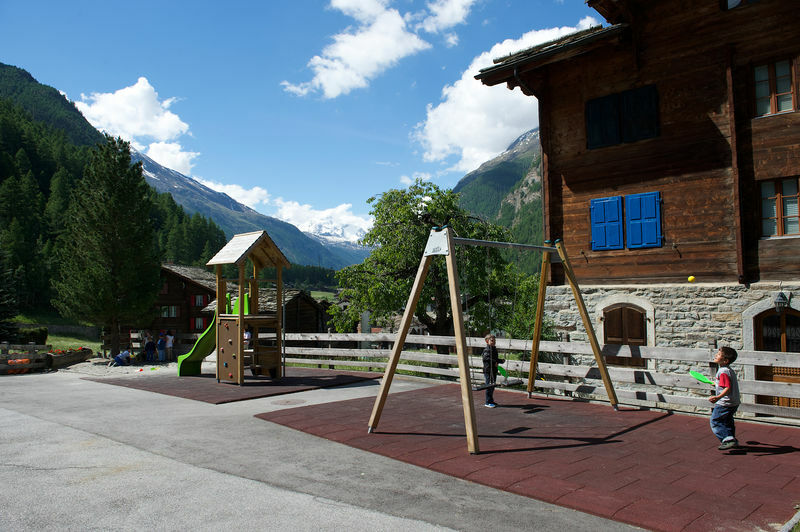 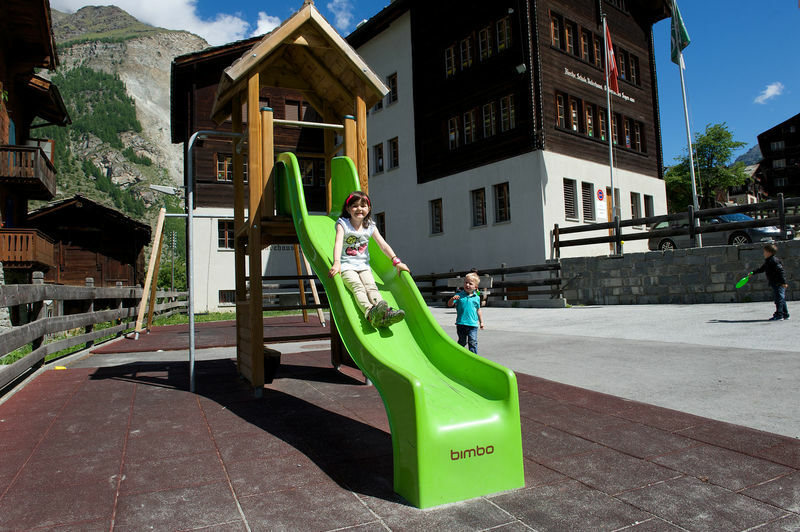 Just five minutes’ walk from Randa station, children can play to their hearts’ content in the spacious playground by the school and town hall. 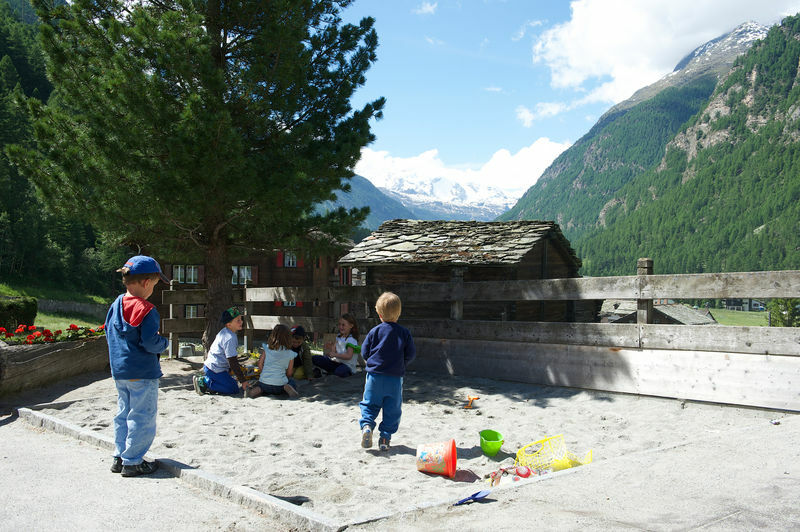 The sand pit, slide, ping-pong table and small climbing frame are popular with kids of all ages. 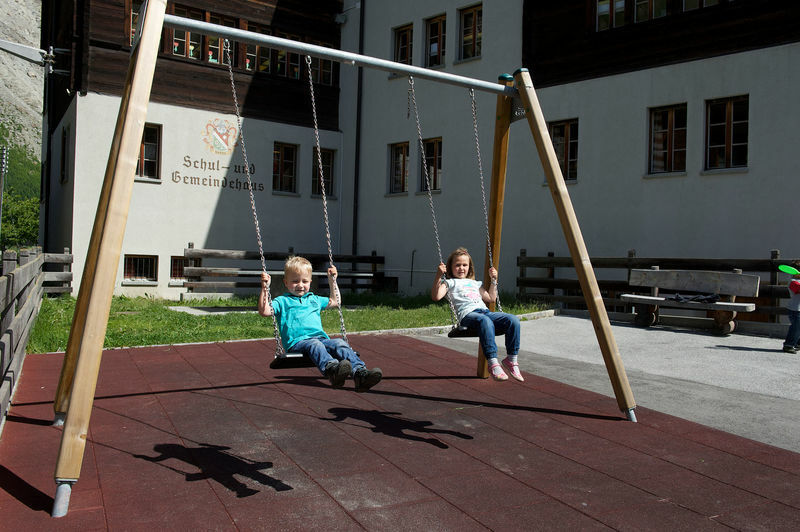 Safety is paramount, so the playground is separated from the road by a fence.